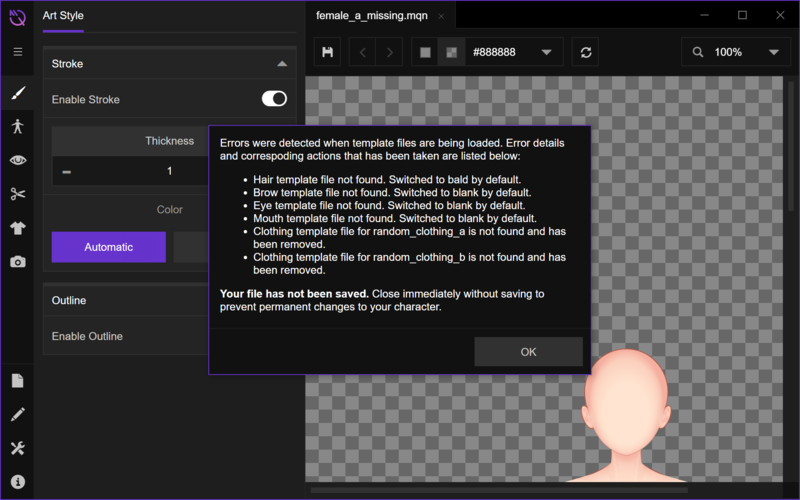 We've added a basic error handling behavior to keep files with missing components open. this will be useful as a preparation for custom components, as there will be an increased chances of errors if you're using parts from custom components in your character and somehow the required file for that custom components is missing due to deletion by yourself or maybe other causes. We will also use this opportunity to rearrange our current default library. This means that in the following weeks your existing character file might suddenly spawn errors as soon as it's opened after an update. We're sorry for the inconvenience, but a better structured library should ultimately benefit everybody in the long run. As we've mentioned before, we're going to continuously review, revise and redraw every components in order to provide better art quality and consistency across all templates. 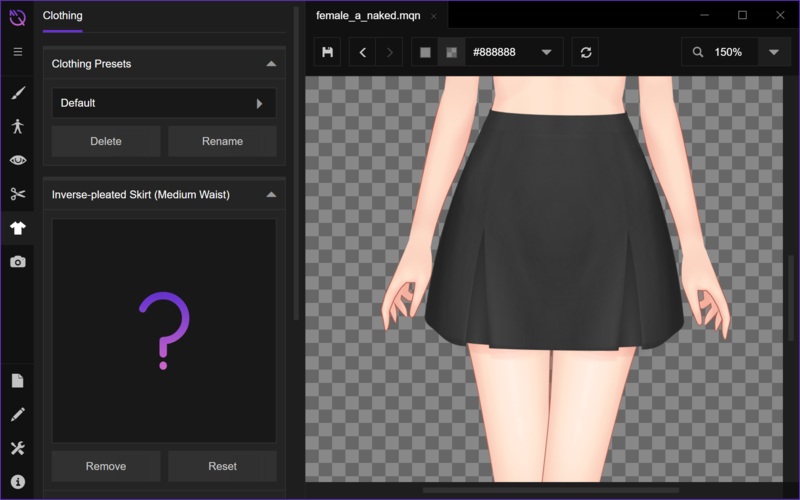 Currently in progress are new default skirts, with revised component naming, adjusted waistline, length, and more details. Please be aware that these skirts are still not final, and currently not compatible with any of the tucked tops due to the adjusted waistline. Previous characters' foots are not really nice in terms of perspective, so we've gathered several references and redrawn every poses. As a consequence, current female shoes will also be redrawn in the next few days. We're currently experimenting with layered PSD export (fingers crossed we can do this right). Next week should also start the gradual appearance of UI elements needed for custom library management. Progress are slow due to day job commitments, but we'll do better as soon as work gets less tedious. That's all for today! As usual, don't forget that you can follow our Twitter account for more frequent, bite-sized updates. Hello, thanks for your interest and info! The drawings for female pants is not completed yet, the bug is actually how it is shown in the library in the first place :) We'll look into it, and make sure it is fixed before the next stable/demo update. Hopefully we can show some progress in the PSD exports soon!